Oh Dear, my atrocious filing system does me again. 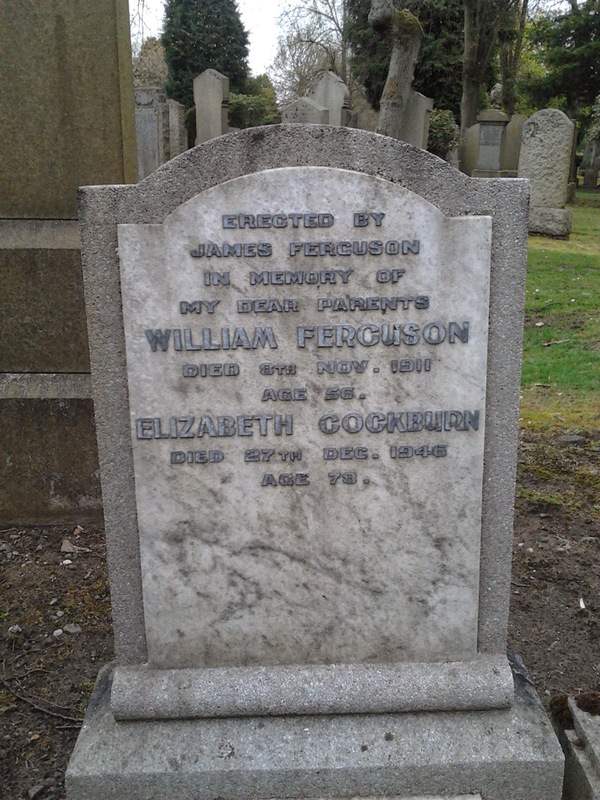 The other day whilst looking through the many pictures I have taken in Camelon Cemetery to try and cut down the sheer number of files on my computer I came across one I had no memory of - that of William Ferguson. You see, when looking for the gravestones of former Falkirk players, I also take pictures of the headstones of people with the same name whose timescale is roughly similar to that of the Falkirk player, with the intention of having a closer look when I get home, the problem being that many of the pictures get lost in the mass of timestamped jpegs in the folder. The big brother of Falkirk's first proper goalscorer Sandy Ferguson, Willie started out as a winger, but he never really shone in that position, and quickly settled down into his regular position of Right-Half. To be there is little to go on, as even though his career lasted over four seasons at the club, there is such scant information on most of the games in the early seasons that his 18 known matches only tell half the story. Most of the games back then have no information whatsoever about who played in most of the matches at all. 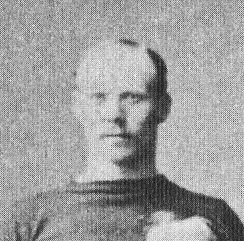 Right-Half was an unglamorous position even back then so very little was said of them unless they scored or had a particularly great game, it would seem William did neither, he played regularly until 1883, then a cameo appearance a couple of seasons later. I cannot say exactly why he dropped from the team for a while, but according to the 1881 census he was an Iron Moulder [another one: in Falkirk!] therefore it is entirely possible that he obtained a place in a foundry somewhere else, perhaps even down south as many others did at the time [for example the only reason that Jock Simpson was born in Pendleton, Lancashire, was that his Father who had lived in Campfield Street was working there]. I can not tell exactly what was going on, I have learned however that workers did move about much more than I previously believed, but until someone finds a William Ferguson playing for a local team in another area known for Iron Founding it will be almost impossible to prove either way, but, you know, I will keep looking.